The scripting in the web pages with ordinary fonts is no more a great option when there are a number of tattoo fonts which are absolutely elegant and also free on the web. These fonts are available in cursive, fancy, and are even handwritten formats. There are many ways these fonts can be used like in case of beautiful typography for posters, for displaying headlines effectively on the front page of a website in the virtual world apart from being used for stylish body artwork. The attractiveness of the typefaces can definitely improve the site’s progress in the web world. The people love to read eye catchy fonts. The symbols, glyph’s are also incorporated in a number of popular Tattoo fonts for beautifying it. These fonts are available for download on many websites. The graphic designers can get this free of cost while designing the websites. The license on the fonts needs to be checked for permissions before using the fonts. Cursive Tattoo Fonts are perfect to be used for project work or documentation purpose. Their inclusion will help in providing stunning outlook to the document. There are both free and payable cursive fonts available in the market. 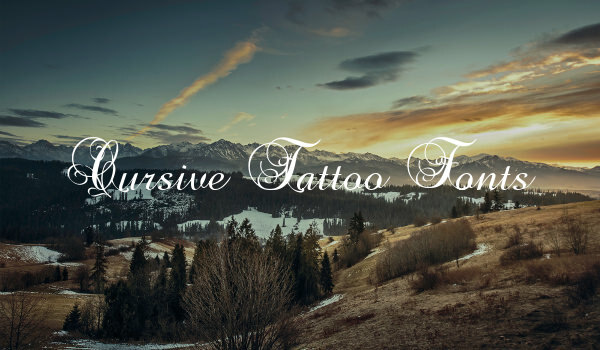 We feature the best collection of cursive tattoo fonts totally free to download. 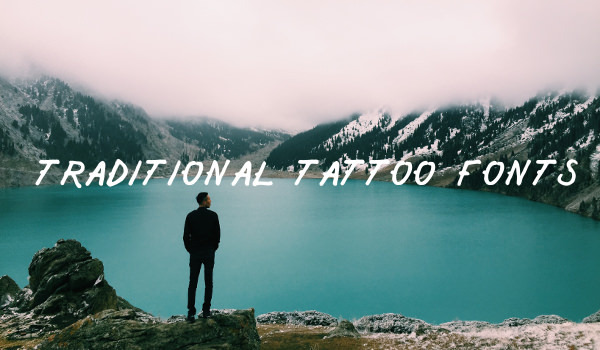 Tattoo Lettering Fonts provide a retro look to your content while trying to be innovative. With high quality free script tattoo fonts available widely, it becomes easier for you to develop the most sophisticated designs. You have the total freedom to play with the letters while managing text in the best way possible. 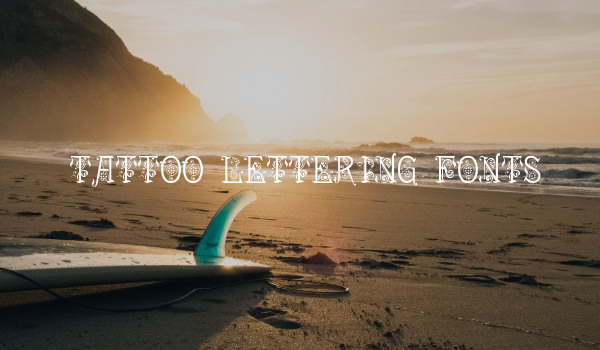 Traditional Tattoo Fonts bring a lot of benefits for designers; not only do they add a sense of style and sophistication to designs, but also add to the aesthetic appeal of the content. Traditional tattoo fonts come to you in all shapes, shades, and sizes; pick the ones that suit your design philosophies and design experiments the most. 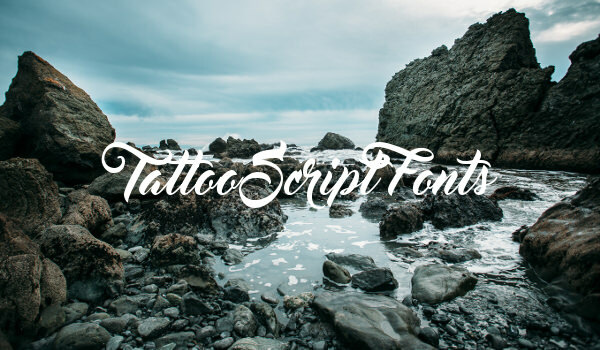 Your text content does not need to bring down the aesthetic appeal of the design; trust Tattoo Script Fonts to help you create sensational artworks. Expanded, condensed, black and white, colored, tiny, large, floral, simple – you name it, and our collection has the perfect tattoo script fonts made available to you for free. Some of the best tattoo fonts have their origin in devanagri Sanskrit language and even Latin fonts. The Bold Black letter fonts are nevertheless interesting variants from the standard boring fonts. The precious fonts are attention grabbing and visually elegant. Like the Photoshop brush, the Bombora font styles also have designer strokes which make it a hit and popular choice. The commercial sites have an wholesome opportunity to be inimitable using the best fonts which are distinctive and high quality. The impressive fonts augment the artistic feel and touch of the site just like the varieties of website backgrounds.